Hello from another Country Inn Day. 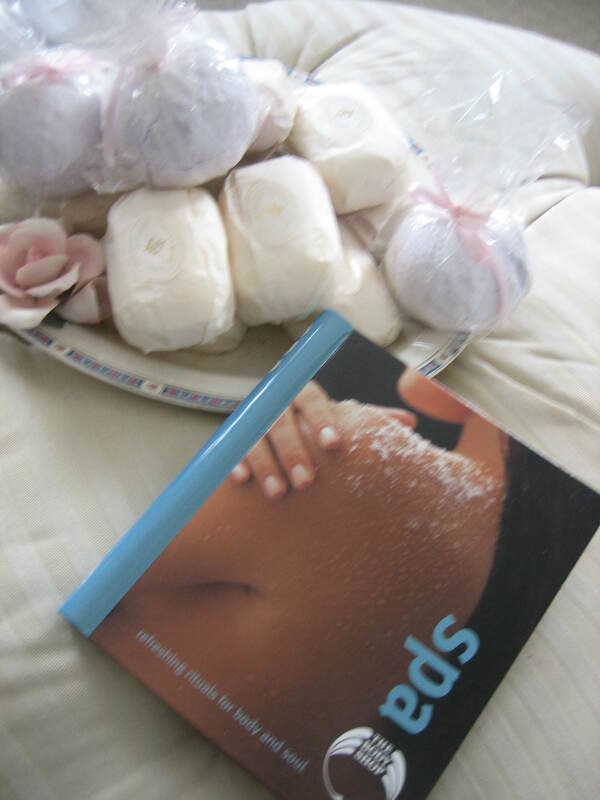 Today is Spa Day at the Inn and I’m happy to share highlights of this day with you. Why? You know. It’s because sharing doubles the joy. We humans are a mixture of the physical, social, intellectual and spiritual —and each of these aspects of life needs careful attention in order to function at its best making life as rich as possible. On Spa Days the focus is on the physical. It’s not just about how we look, though I’m guessing most women feel a lot better if they look in the mirror and are pleased with what they see. But it’s also about how we feel. How we feel is quite the physical thing. On Spa Day I can complete a treatment and look exactly as I looked before that treatment, but I will be feeling ever so much better. A little pampering goes a long way, and if you believe as I do, that the body is the temple of the Holy Spirit within us, then hey, we need to keep that temple up. Spa treatments can be enjoyed right at the Inn (my magical Inn, also called Home) or they can take me “off site” to a variety of establishments offering additional pleasures. 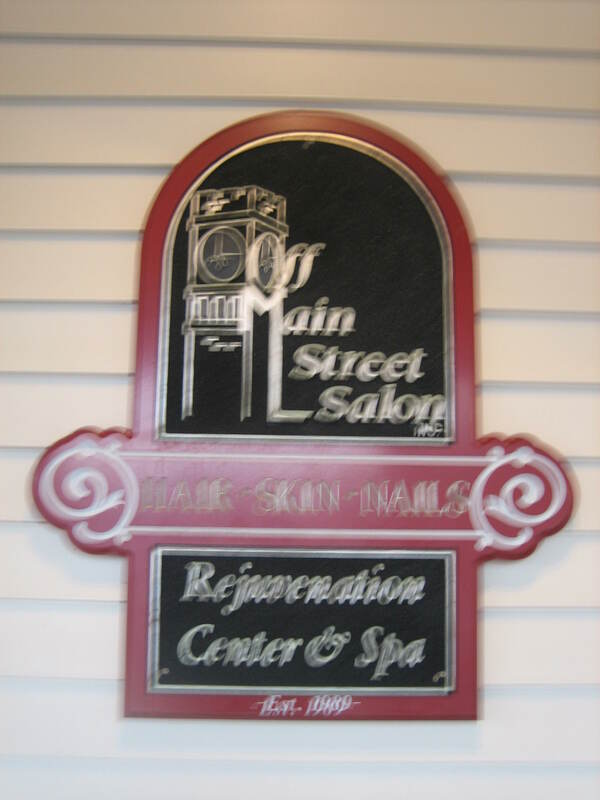 This Inn Day I begin with a trip to the Off Main Street Salon as you can see from their sign. They promise rejuvenation and that’s what my physical being is after today. 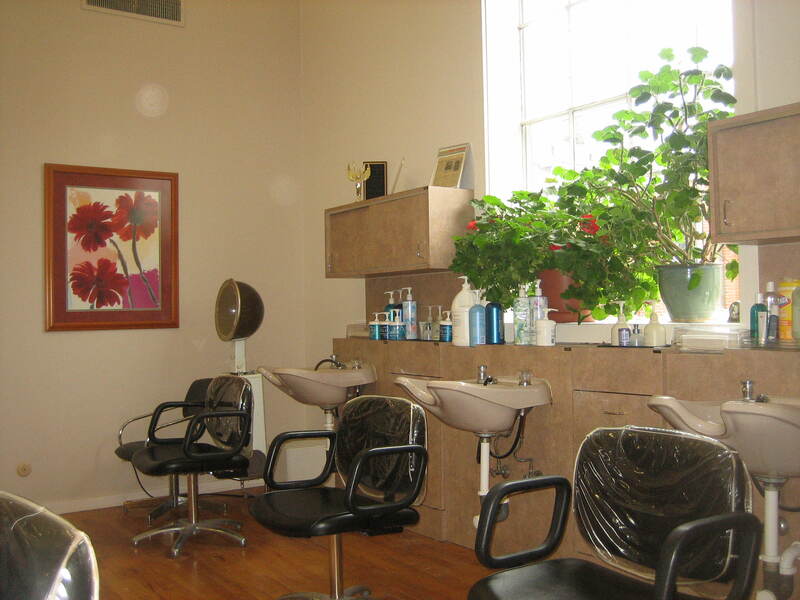 I approach the salon with delicious anticipation. 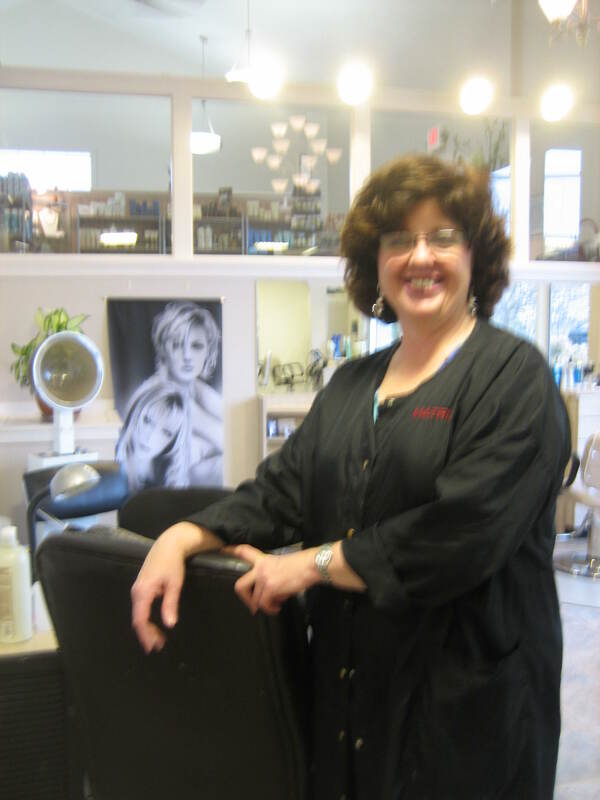 And upon entering who do I see but Pat, one of the owners, who is waiting and ready to pamper me. “Hi Pat”, I say. “I’m ready for some physical rejuvenation. Where shall we start?” Pat suggests the pedicure area. Well, ok. And away we go! One of Pat’s helpers steps up. After all, Pat can’t do everything herself. I’m sorry, but I forgot to get this nice gal’s name, but she sure was friendly and sweet. 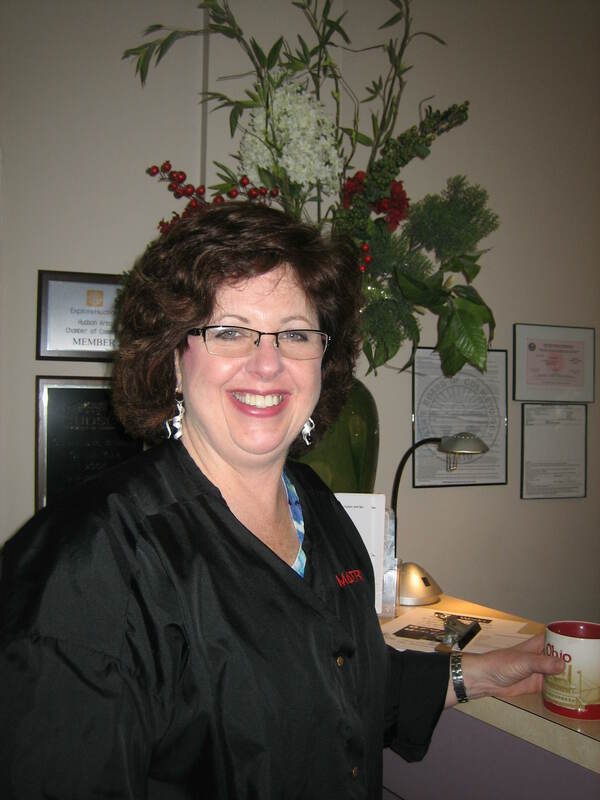 Working with nice people on spa days helps the social aspect of life get a boost too. From the pedicure area I was off for a shampoo and a few other hair treatments. Doesn’t it feel great to have someone else shampoo your hair now and then? Answer: YES! Pat has a nice establishment, but after a few delicious hours it was time to say goodbye till my next visit. “Bye Pat, Keep up the good work!” I had a lovely morning and I did feel somewhat rejuvenated, but my Spa Day was not over. No, not by a long shot. 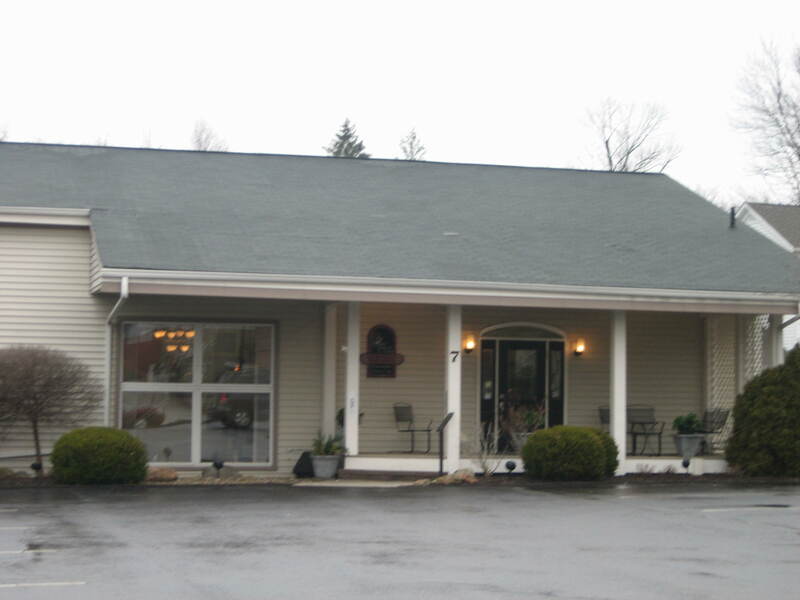 Treatments would continue back at the Inn. Nothing like a fragrant bath. 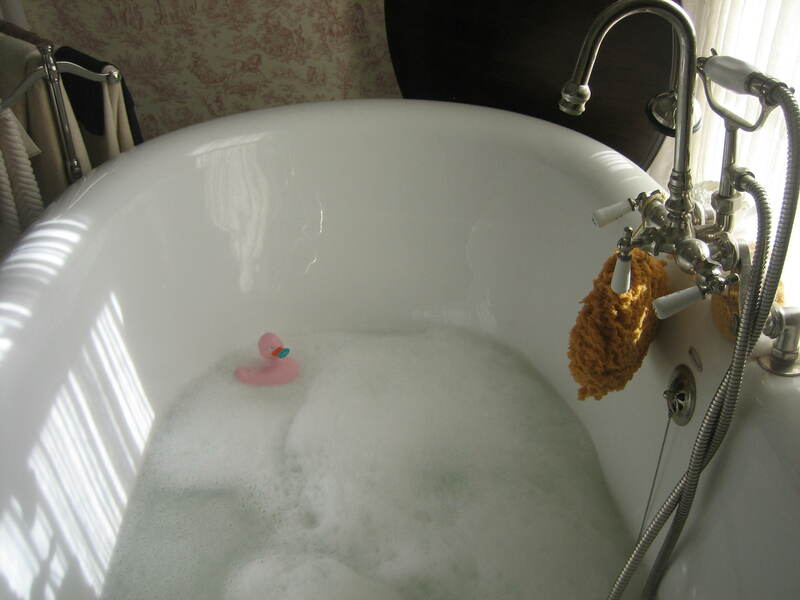 Today the bath water is laced with Bronnely’s Pink Bouquet, a fragrance that I first discovered on a trip to Bermuda. Bronnely is an English company and I love their products. I love all sorts of pretty girlie products like these tall bottles filled with Mediterranean bath foam infused with various scents – Geranium, Camomile, Moss, and Jasmine. The balls of bath salts and large fragrant bars of moisturizing soap will be enjoyed some other Spa Day. 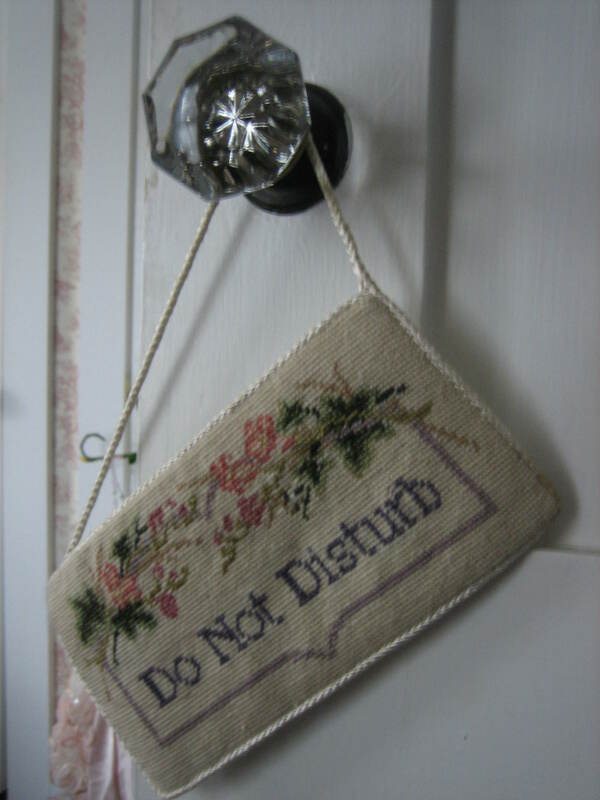 I could stay in my personal spa hideaway for hours, and the “do not disturb” sign on the door keeps me safe from intruders. We don’t have to go far away to get away from it all. If you’re like me, all you need is a little peace and quiet – some alone time, and an atmosphere that is peaceful and pretty. 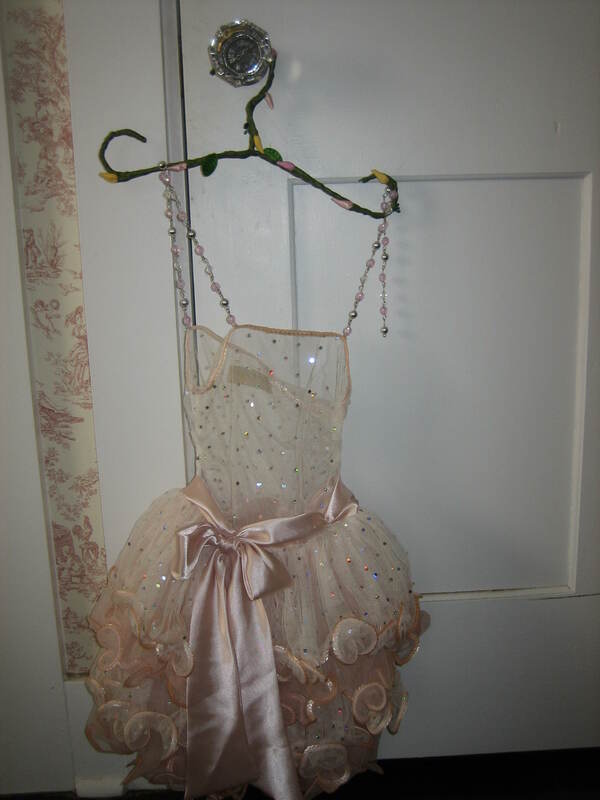 No, this isn’t my ballerina dress. It’s a bit small for me, but to look at lovely things like this while I soak in the tub makes me feel happy. Just to gaze at things of beauty offers its own refreshment. a little water, warm or cold, and a small towel. Simply place the warm or cold compress across your eyes, lie back and dream dreams while you relax. What an inexpensive treat. 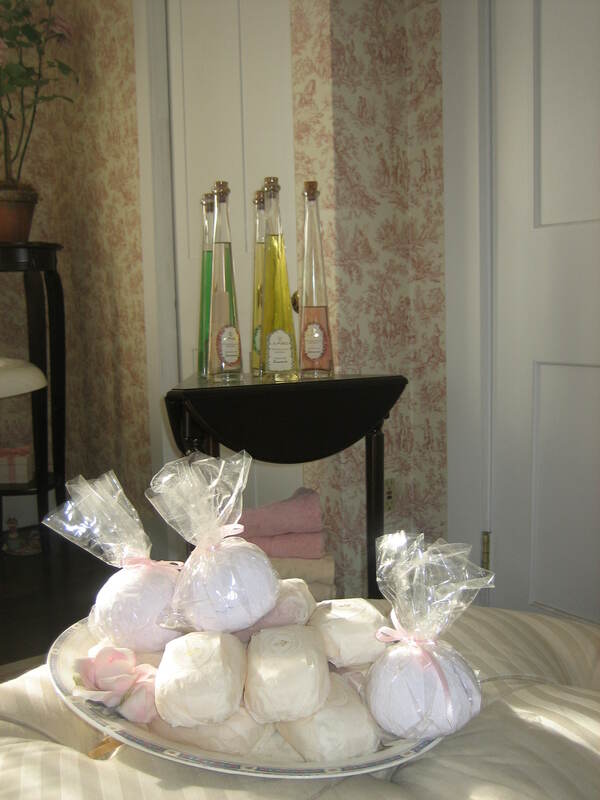 The Inn Spa offers many of such rejuvenating experiences. Spa Days can’t promise the look of eternal youth. Nothing really can. 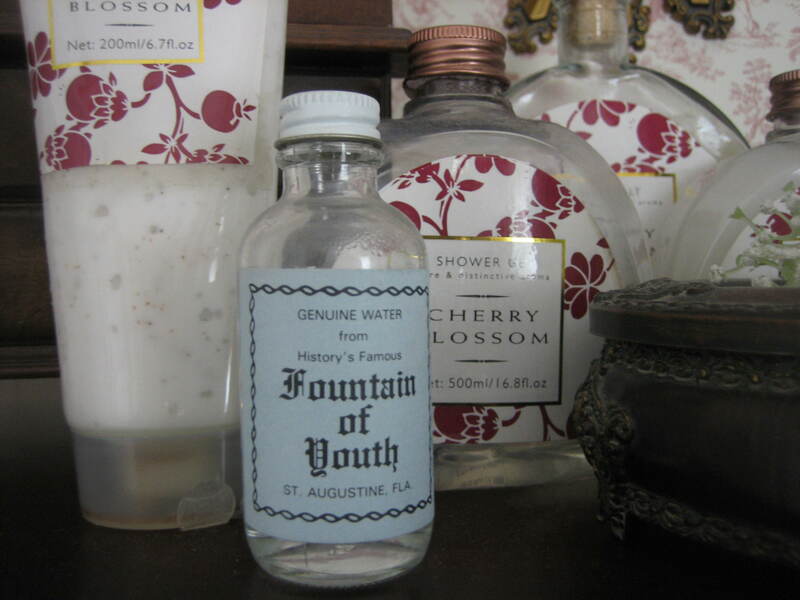 Even this Fountain of Youth potion I purchased in Florida at Ponce de Leon’s actual Fountain of Youth didn’t make me look a day younger. But it’s not just about how young we look or how good we look. It’s also about how we feel. If we treat ourselves well, pamper ourselves, just as we’d pamper a precious work of art (and we all are a precious work of art) then we’ll feel great no matter how we look. The song is written by Carey Landry. My children’s choir sings this song. Signed by the hand of God. WE MUST TAKE CARE OF THIS WONDROUS WORK OF ART ! 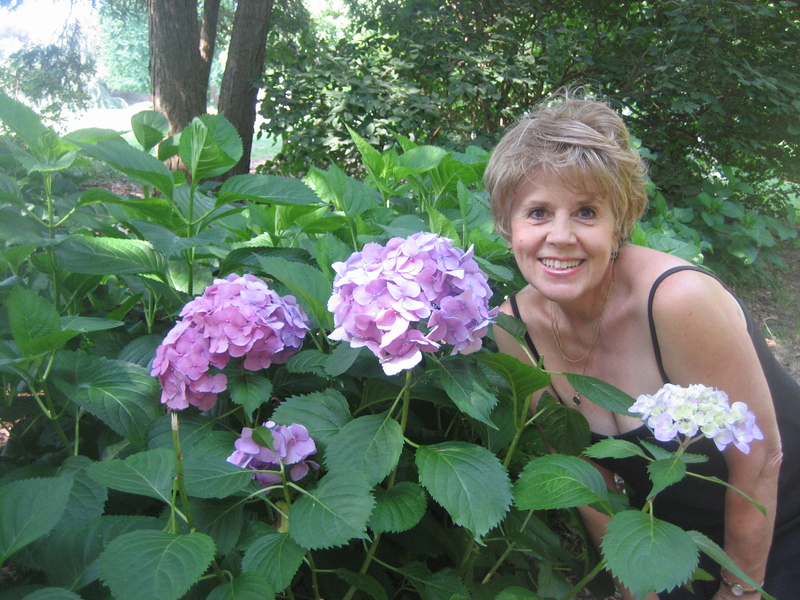 My dear friend, Gwen, recommended your blog and I’m so glad she did! What a beautiful place to visit and you’re lovely posts are so encouraging. How wonderful to enjoy a spa day and then return to your beautiful home to further enjoy the day. 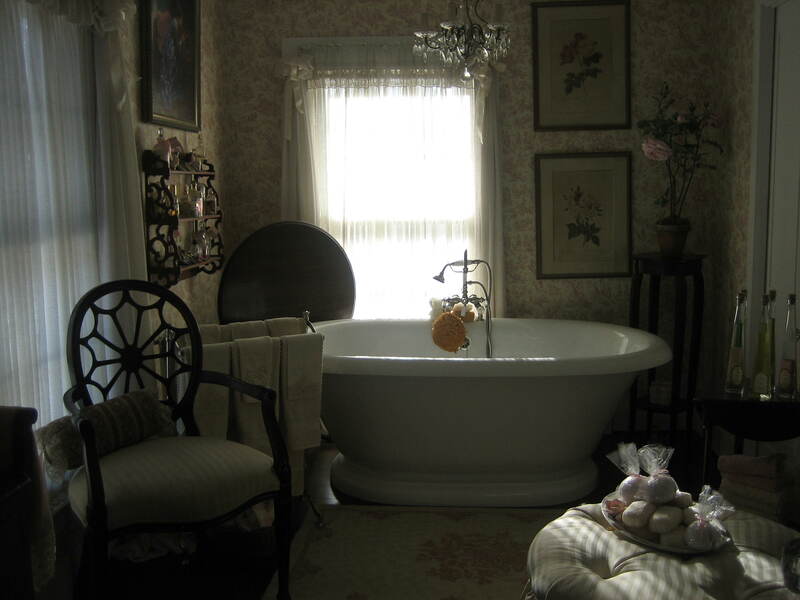 Your bathroom is gorgeous…I want to move in! :o) Thank you for sharing your day with us. I’ll definitely return to visit your blog again and again. I love finding blogs that encourage us to find and enjoy beauty each day. Just talked to Sandra and she told me about this post. 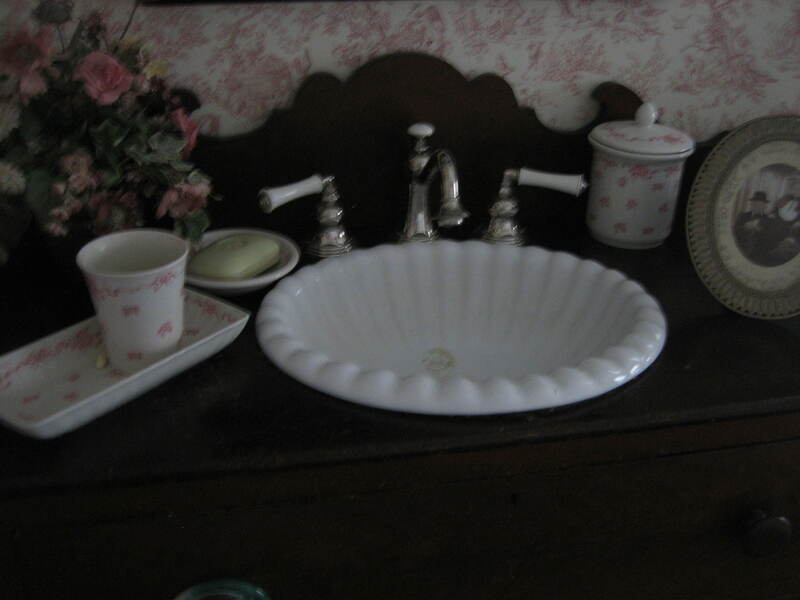 Your bathroom is sooooo lovely!! I will be having a pedicure and manicure this coming week but unfortunately, I will not have your awesome bathroom to go back to to further enjoy my spa day (sigh). I do hope you come to Hudson one of these days. You sound like my kind of girl, one who enjoys being feminine. So sorry it took me this long to reply. Thank you for all your kind words. We seem to be on the same wave length. It’s lovely to meet you. If Gwen comes to Hudson you should join her and we can meet… maybe have tea.